Today’s dish is clearly in honor of St. Patrick’s Day. Since I’ll be traveling tomorrow, I whipped up some festive food two nights early this week. The meal was appropriately potato themed, and this vegan kale colcannon was the star. 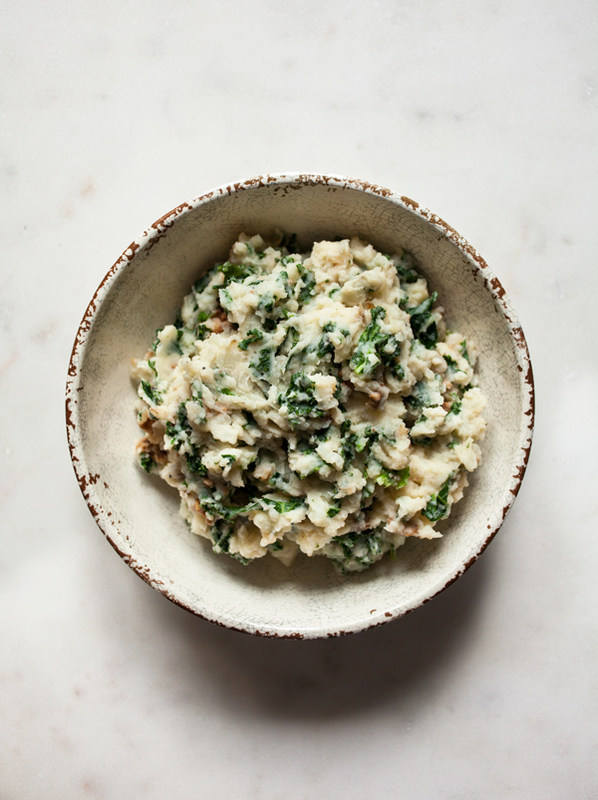 Colcannon is an example of simple, rustic food at its best. 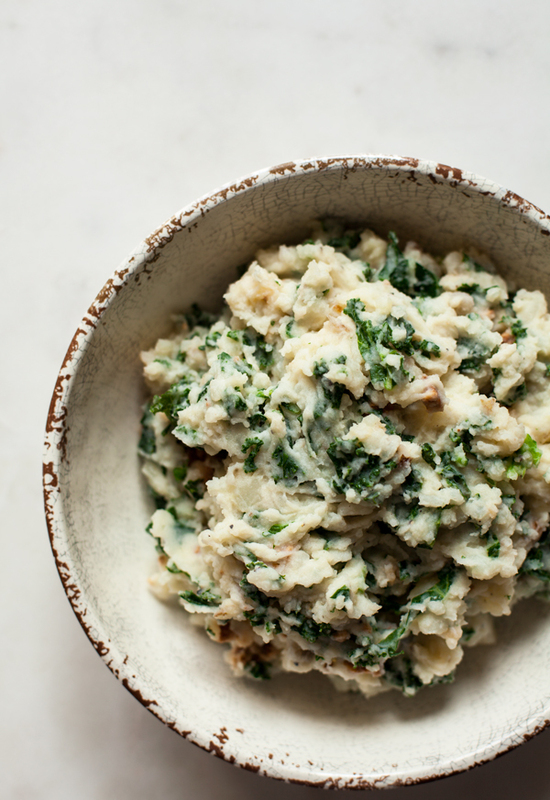 It’s a mashed potato dish made with cabbage or kale, though the cabbage variety is more traditional. Depending on how fancy you want to be, you can add chives, sour cream, butter, leeks, bacon, or ham to the dish. I tend to like it on the simple side, and as you’ll see, this version is pretty fuss-free. What makes it unusual is the substitution of one brassica (kale) for another (cabbage). Don’t get me wrong: I think the cabbage version is delicious. But curly kale adds wonderful texture, not to mention a hefty dose of nutrition and bright spots of color. 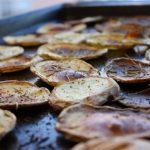 You can leave it very simple–just potatoes, salt, pepper, a splash of soy or almond milk, a touch of Earth Balance, and the steamed kale–or you can add some smokiness and protein in the form of crumbled tempeh, vegan sausage, or another vegan meat. If you’d prefer to use something homemade, my lentil walnut taco meat would be wonderful in the dish (though I’d omit the cumin and chili powder, just to keep the flavors consistent). Smoked tofu would be great, too. As far as the vegetable goes, feel free to use kale or any other leafy green here–beet greens, chard, spinach, or mustard greens. Red and green cabbage will keep it traditional, and chopped cauliflower or broccoli florets would be wonderful, too. Bring a pot of salted water to boil. Add the potatoes. Boil till tender (about 15 minutes). Drain and return potatoes to the cooking pot. While the potatoes cook, bring a small pot of water to boil and steam the kale lightly. Set kale aside. Add the plant milk, Earth Balance of coconut oil, salt, pepper, and garlic powder to the potatoes. Mash evenly, leaving just a bit of texture in the mixture. Stir in the kale and the vegan "meat," if you're using it. Mix everything well, adding extra plant milk as needed, and adjust seasonings to taste. Serve. Leftovers will keep in an airtight container in the fridge for up to 3 days. The real challenge of this recipe is to prepare it without eating half of it, as it’s totally irresistible. The combination of creamy potatoes, fresh and zesty kale, and smoky tempeh (or whatever other protein you decide to use) is such a winner. This is an ideal vegan recipe for St. Patrick’s Day, but frankly, it’s also perfect vegan comfort food for any time of the year. I hope you enjoy it! I’ll be checking in tomorrow from the Big Easy. Night, friends. Nutritional yeast is one of my favorite new foods in the past few months and I’m not even a vegan! by the way, Annie: Brewer’s yeast is not the same as nutritional yeast. Nooch is grown on molasses. Brewer’s Yeast is grown on grain. They taste different too. I love nooch! Though I get confused – on the packet I have, it says if you heat it above 100degrees C, it loses all its nutrient value – yet basically all the recipes I see with it in have it cooked at much higher heats – like 160-200degrees C. Is it true that it loses its nutrients when heated? 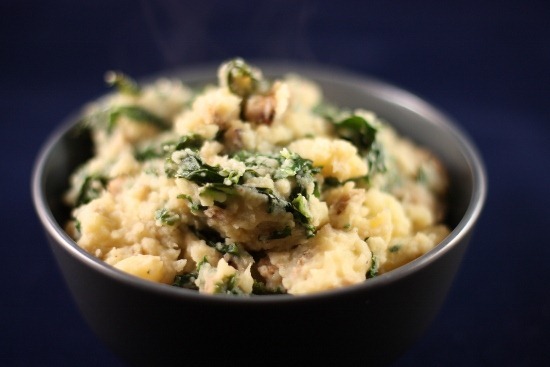 As for that colcannon – um, yum! That’s the thing Lisa, I think nooch is fine for most people but for me, eating nutritional yeast results in major candida flair-ups. It probably doesn’t help that dishes containing nooch also often contain tahini and/or cashews, which also trigger reactions…sigh, it is super yummy but not good for all people. I just went back to read the post again, and realized that Gina specifically mentions Candida and that she doesn’t think it matters. This has not been the case in my experience at all–of course, the combination of sesame, cashews and nooch might be the culprit, not nooch alone. Yup, I have similarly acquired a love for the nooch. 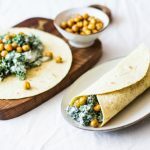 I’m not making kale chips on a regular basis because they’re just too tempting… I have been experiencing some period stomach discomfort (cramping, bloating, etc), and I have been wondering if the nutritional yeast may be the cause. I’ve cut it (and a few other things like raw sweet potato and squash) out of my diet for a bit just to try and figure out what I’m sensitive too. Anyone else experience difficulties digesting nooch? Yes! I get a “lactose intolerant” reaction from it. I just read a comment above which said it is grown on molasses, which is interesting, because I get the same type reaction when I eat molasses or brown sugar. Who knows.. my body is weird! Yes!!! Been feeling quite uncomfortable lately – and noticed that l have been eating a lot more nutritional yeast, but l have been also eating more tahini lately. could not figure out what the culprit was until l read your post – will cut out and see what happens. Looks so good! like kale mashed potatoes. I haven’t heard of the dish in any form-raw or cooked, but it looks tasty! I NEVER taste! In fact, I kind of freak out if someone tries to put a spoon in my mouth. Over the years, anyone I’ve cooked with regularly has learned not to dare offer me anything to eat before dinner’s actually being served. Then again, it’s rare for me to make anything with more than four or five ingredients and without a huge margin for error, so it’s not much of a problem. If something’s “off”, I’ll adjust next time I make whatever it was. 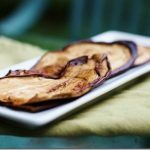 As usual, your post strikes a chord — for the past few days, I’ve been wondering whether nooch was candida-friendly or not. I’m so tempted to try it now! I have never heard of this dish before, then a few days ago my business partner was telling me about how she saw a mashed potato dish on the internet that had kale in it . . . but that it was loaded with butter and heavy cream. I immediately put it out of my mind and then you come at me with this! Is it a sign? Do I need to be making some of this yumminess? I just made Vegan Colcannon for dinner too! Except I used a sweet potato and seiten. SO good! And your Vegan Colcannon looks amazing!!! I love your blog. For that reason, I’m passing on the One Lovely Blog Award to you! Check it out here. Colcannon…I had no idea what that WAS til I read the recipe. It definitely looks wonderful and full of flavor and like my hubs would ADORE it. Seriously though, great work on this one! And I liked your nooch commentary. I am one of those readers/people who love nooch and only got into it a couple years ago. Could you share how you veganized the soda bread? pretty please? I wrote a colcannon post not too long ago with both kale and cabbage, sweet, and regular potatoes: White, Orange, and Green for the flag! I think it makes up for my not food-celebrating tomorrow. I had never even heard of colcannon until today I’ve seen a few recipes for it. Sounds like a good combo of yummy vegan things. ps: when I tried to post this for the first time it failed said to contact the blog owner and have them look into java something and cookies. tech speak. very creative! thanks for the inspiration, always. you are giving me hope that some day, when the time is right in my life, I can live 100% vegan! Never heard of this before. Sounds really good. This looks great. Happy St. Patrick’s Day!! This is the first I’ve heard of colcannon. thanks for introducing it to me! I have all the ingredients (except the sausage) on hand now, so this may get made in the next few days. Happy and safe travels to you. Looks delicious- nice to see you veganized a classic, unhealthy Irish dish! So simple, yet super wholesome, and not lacking the “yum” factor! Do you have any feelings or suggestions about Vit B supplementation for adults and kids (10 y/o) who try (their best) to follow a similar diet? Thanks! Safe travels, Gena! Hope you have a blast in NOLA! 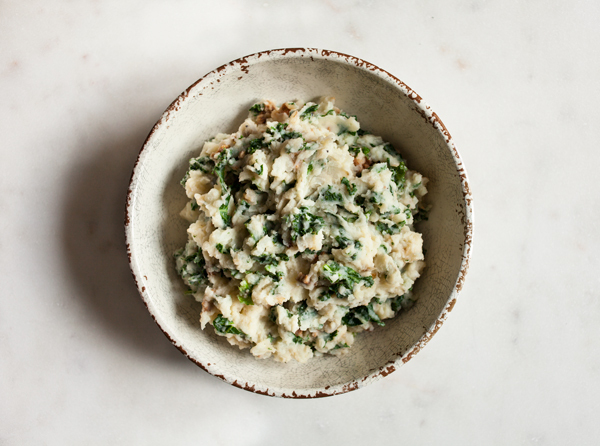 I love colcannon and this looks great! Ooo this looks so yummy! I’m trying to incorporate more savory meals (and by ‘savory,’ I mean not breakfast) into my repertoire and I think I’ll have to take a crack at this one; looks so creamy and comforting! I made my first colcannon a few months back and I absolutely love the combination of flavors! I can’t do almond milk for mashed potatoes, taste too much like almonds :/ instead I’ve found adding veganaise is REALLY good, just enough with the butter to give it some creamy texture. Not a whole lot though i try to keep it low fat as possible, But if you have the perfect amount it is amazing. Oh wow this looks and sounds so yummy. I love potatoes and kale so I’m giving this recipe a go asap! Thank you! !